Land-use changes create numerous adverse impacts to stream ecosystems within the Chesapeake Bay watershed, including degraded water quality for both human and non-human use. Fish and benthic macroinvertebrates are traditionally used as indicators of biotic response to watershed disturbance. These indicators, however, do not necessarily reflect the status of key ecosystem processes such as the metabolism of nutrients and other pollutants that otherwise can flow to coastal waters. Conversely, microbial communities drive many ecosystem processes, including nutrient cycling, and thus their diversity and composition have great potential to assess and possibly mitigate impacts on aquatic ecosystems. However, almost nothing is known about the biogeography of microbial community diversity in stream ecosystems and how this varies with watershed alterations. Our objectives for this study are to characterize microbial community diversity in headwater streams throughout the Chesapeake Bay watershed of Maryland to test the following predictions: (1) Microbial diversity declines along gradients of land use and urbanization; (2) Microbial diversity is a more sensitive and reliable indicator of stream impairment than traditional bioindicators such as fish and benthic macroinvertebrates; and (3) The taxonomic composition of microbial communities reflects specific impacts of anthropogenic land use such as high loadings of nutrients or sediments into aquatic ecosystems. 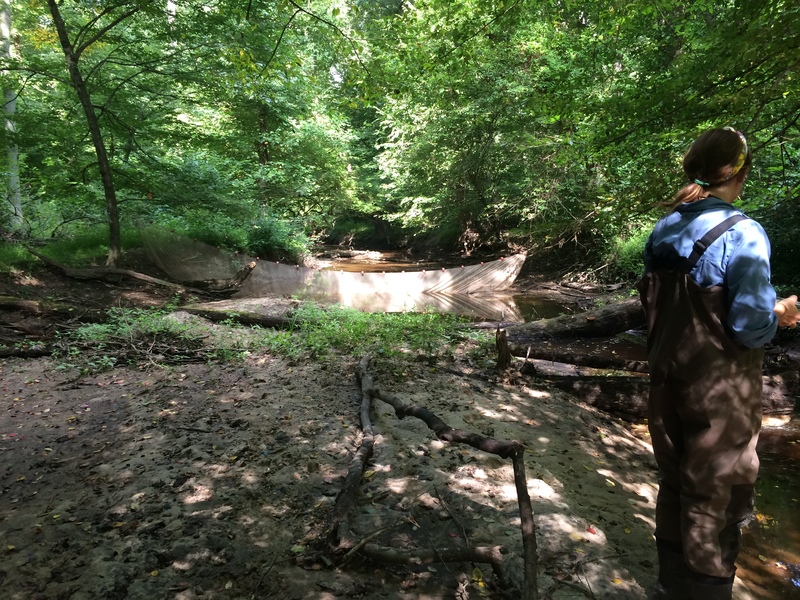 We are partnering with the Maryland Biological Stream Survey (MBSS), which performs annual assessment of stream condition across the state’s watersheds. Microbial diversity will be related to water quality, traditional bioindicators, and measurements of land use using multivariate statistical models. Environmental predictors include a suite of physico-chemical and land use variables that define an environmental gradient within Maryland ranging from pristine forested, to primarily agricultural, to highly urbanized watersheds. 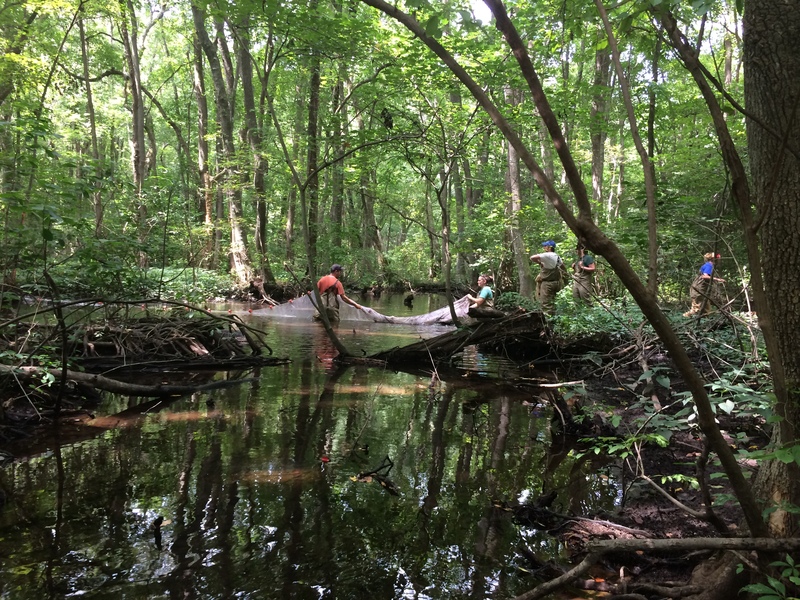 Our study will robustly characterize the relationships between microbial diversity and land use change within the Chesapeake Bay watershed. Our results will be accessible and useful to diverse stakeholders with interests in water quality, aquatic resource management, and the health of stream ecosystems. 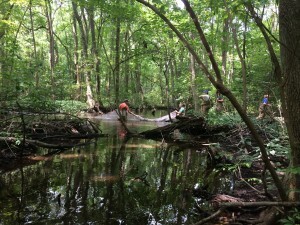 Our project features a ‘citizen science‘ component partnering with four local watershed groups throughout Maryland to determine the relationship between microbial diversity and ecosystem health in their own community.